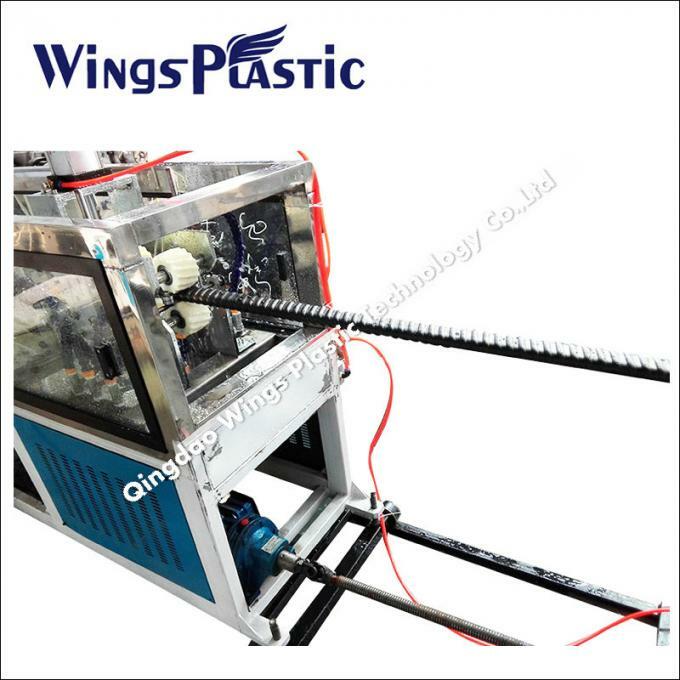 Carbon + HDPE corrugated pipe is using HDPE (high density polyethylene) / carbon composite material extrusion molding and unique rotational molding technology in the production of new type power cable protection pipe. 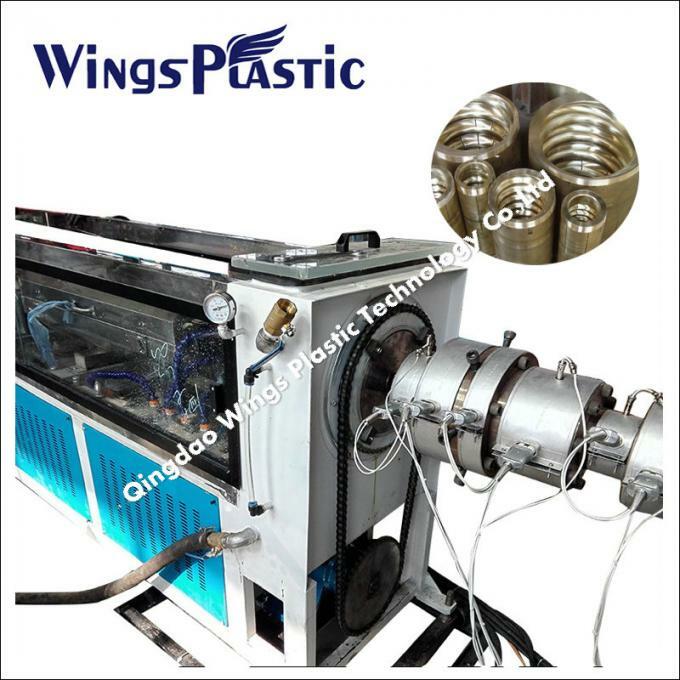 This kind of corrugated pipes has special thread shape modelling,good anti pressure, impact resistant performance , greatly exceeding the technology standards GB/T13381.9 . As the qualitative light, intensity, high temperature resistance, corrosion resistance, length randomly, camber freely, it can make the quick and convenient construction. Its will be no broken ,the service life could be more than 50 years. HDPE spiral carbon corrugated pipe is widely applied to beautifying the streets ,street light ground engineering for cities, residential construction, park and golf course,industrial park construction,agricultural drainage and irrigation and water conservancy project,and reform of city network cable buried convenient, telecommunications cable, highways, substation, water conservancy projects, etc. 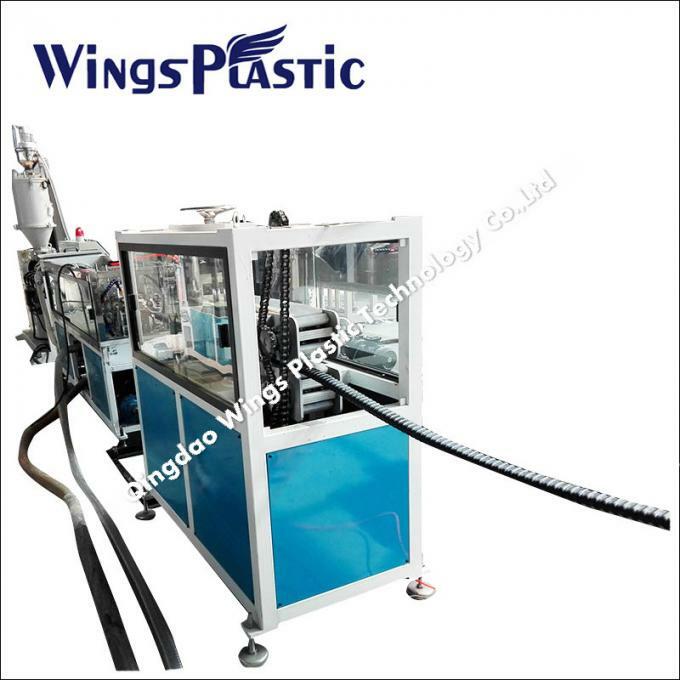 Qingdao Wings Plastic Technology Co., LTD is a professional development and production of new type of extrusion equipment of high - tech enterprises, the company has been committed to the plastic pipe production equipment of the new products, new technology, since its inception . The plastic corrugated pipe production line, HDPE carbon spiral pipe production line, PPR pipe production line has reached domestic advanced level, PE plastic pipe production line could runs in high speed and stable station;In addition, the company is good at the TPU pipe line, EVA winding pipe line, nylon hose production line, too.